The most low-key way to celebrate this year is by busting out a grill, firing up the gas or charcoal mand cooking up your favorite hunk of meat and selection of veggies. By having friends over to celebrate, you can turn this year’s Independence Day into a small but memorable get-together. If you need a grill, there are many local Bossier businesses that can supply you with all you need, such as Tubbs. The Bossier institution has a selection of grills and all the accessories, and even seasoning, you need. If the backyard is a little quiet, then a trip to one of Bossier Parish’s many public parks might be a great way to spend your July 4th. 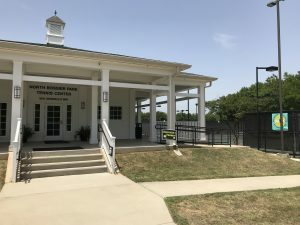 One of the more popular parks in the area is the North Bossier Park. Located off Brownlee Road, this park offers a playground, restrooms, climbing rocks, picnic area, spray park (perfect for July heat), four pavilions and jogging/walking trails. It also has a competition-level tennis court with the Bossier Tennis Center. If you’re looking to enjoy the warm weather but the heat is a little too much, then Cypress Park in Benton offers locals a scenic water spot in their own backyards. 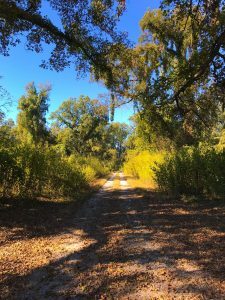 Cypress Black Bayou is a full-service recreation area that offers swimming, camping, cabins, fishing piers, a zoo and more. It makes for a great picnic spot with tall pine trees, a nice breeze coming off the water and large table area. If you want to do more interacting with nature, then tucked away in south Bossier, just off the Arthur Ray Teague Parkway, is the Red River National Wildlife Refuge Headquarters. Lying in the Red River Valley, the RRWR is rich in plant life and offers a safe haven for waterfowl and songbirds. Visitors can observe various birds, reptiles and amphibians, and even deer. But you can also fish, take a hike, pick pecans and plums, or engage with some of the center’s exhibits. Finally, if you’re wanting to celebrate Independence Day in a more traditional manner, then fireworks in the driveway is a time-honored tradition. There are many reputable dealers set up across the area, selling name brand firecrackers of all kinds. Bossier City residents can continue to shoot off their fireworks from now through July 5 from 10 a.m. to 10 p.m. And the Bossier City Fire Department reminds residents to supervise young children, never shoot them at another person or an animal, only fire them off outside, keep a bucket of water handy, be mindful of dry conditions and use caution at all times. When all the 4th of July excitement is over, you and your family can check out these Bossier Events in July to keep the summer fun going!